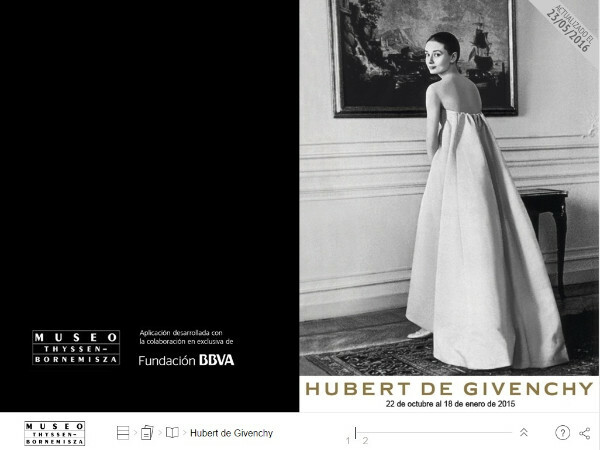 This exhibition, the first major retrospective to be devoted to Hubert de Givenchy and the Museum’s first incursion into the world of fashion, will present a selection of the finest creations by the French fashion designer. Curated by Hubert de Givenchy himself, it will thus offer a unique focus on his collections over the past half century, from the founding of Maison Givenchy in Paris in 1952 to his retirement in 1996. On display will be dresses that he designed for some of the 20th century’s most iconic personalities, including Jacqueline Kennedy, the Duchess of Windsor, Caroline of Monaco and his muse and friend Audrey Hepburn (whom he dressed for films such as Sabrina and Breakfast at Tiffany’s); examples of Givenchy’s most original creations such as the “Bettina blouse” and the “sack dress”; and his admired prêt-à-porter designs, a concept he invented in 1954. These creations will be shown alongside a group of works of different periods and styles from the Museo Thyssen’s collections.